If your Dell Inspiron laptop's screen is cracked, broken or has suffered from other visible physical damage, Innovative IT can help you. We offer you top quality Dell Inspiron LCD screen replacement services. Thanks to our team of highly experienced and skilled service technicians and engineers and to our high end service equipment, you can rest assured that your Dell Inspiron's LCD replacement job will be catered to only by the best professionals in the industry. So if you are unable to use your Dell Inspiron because your laptop's LCD screen has suffered from some form of physical damage, we can help you. We have a large storage of genuine Dell spare parts, hence we are able to offer you quick turnaround Dell Inspiron LCD screen replacement services. Our Central London repair centre has been providing both residential and business clients with top quality and cost effective laptop LCD screen replacement services for more than 15 years. So if your Dell Inspiron laptop's LCD screen is malfunctioning, we can fix your problem today at an incredibly low rate! All you have to do in order to take advantage of our professional same day Dell Inspiron laptop LCD screen replacement services is to bring your defective laptop to our Central London repair centre. 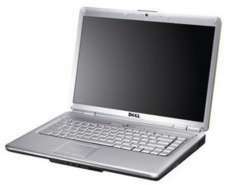 Or we can arrange for fast and reliable pick up and delivery services for your Dell Inspiron laptop. We will replace your laptop's LCD screen and have it sent back to your doorsteps today! If you want to know more about our expert London Dell Inspiron LCD replacement services, just give us a call on 020 7394 2525 or email us at info@computerrepairsinlondon.co.uk anytime Monday through Saturday, from 09:00 to 18:00 hrs and our courteous staff will gladly offer you all the information and details you want.